Pretty in pink with MAC Playland lips - with swatches! 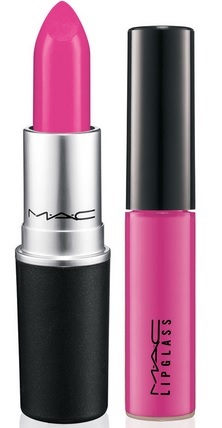 There's a lot of bright and happy spring colours in the MAC Playland Collection but of course, as always I am drawn to the pink - and nothing makes me happier then pink lips! Lipglass in Pure Silliness - creamy lilac - love it in the tube but I think this is the kind of shade that looks better on a darker skin tone - it will be great to layer over darker colours that I want to tone down though!